Howard Hawks in Africa filming Hatari (1962) with Elsa Martinelli and photographer Russell Harlan. Russell B. Harlan, A.S.C. (September 16, 1903 – February 28, 1974) was an American cinematographer. He is pictured here during the filming of the Howard Hawks film ‘Hatari!’ Tanzania, 1962. 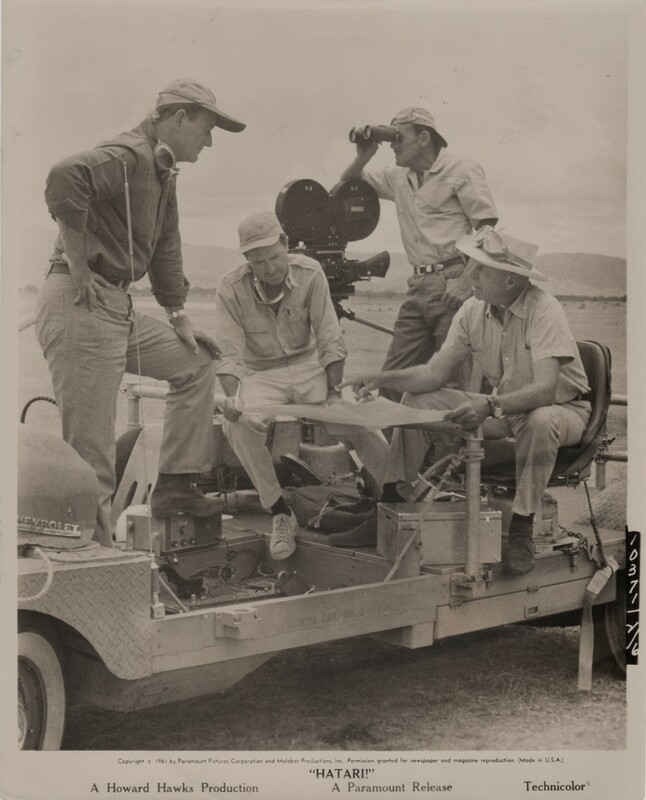 Howard Hawks filming Hatari (1962) in what is now Tanzania, Africa, in a publicity still with cinematographer Russell Harlan looking through binoculars, and John Wayne. 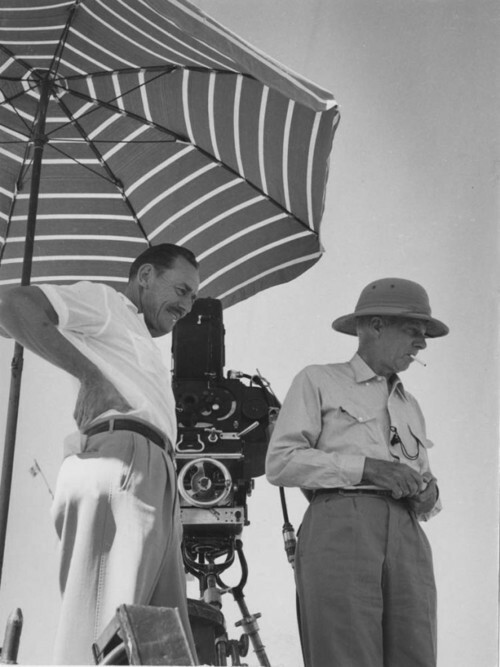 Howard Hawks seeks shade in the hot Egyptian desert while filming Land of the Pharaohs (1955) with cinematographer Russell Harlan. 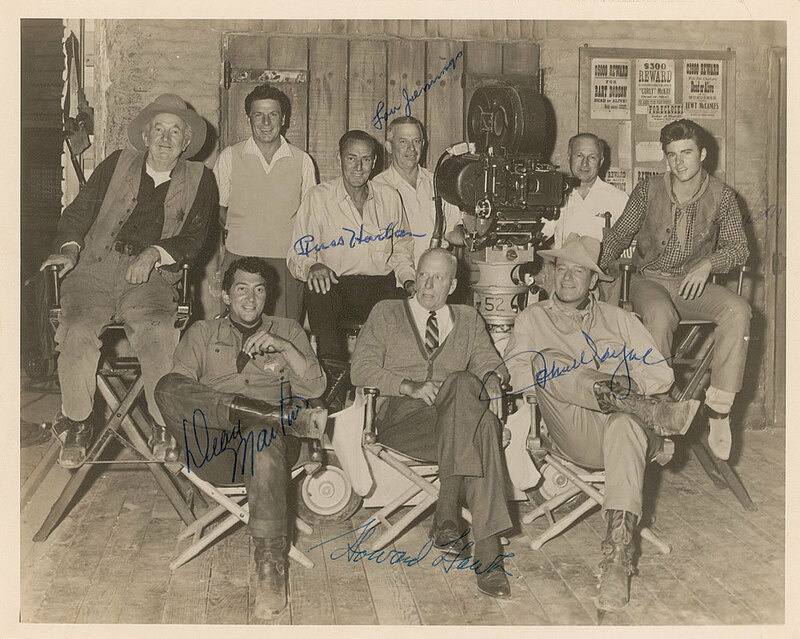 Howard Hawks autographed photo of some of the cast and crew of Rio Bravo (1959). 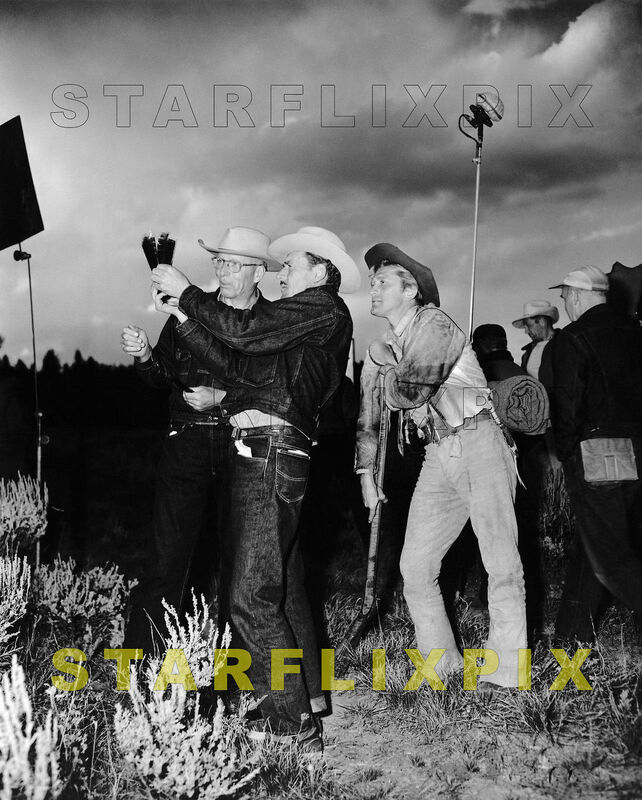 Director Howard Hawks, cinematographer Russell Harlan and star Kirk Douglas on location for The Big Sky (1951).